Measures to equip councils with powers to bring thousands of long-term empty homes back into use will be debated in Parliament today (23 April 2018). The new legislation will allow councils to charge double the rate of Council Tax on homes left empty for years. Local authorities can currently levy a 50% premium. Whilst the number of homes empty for 6 months or longer remains substantially lower than when records began in 2004, councils will be handed powers to levy additional charges on homes standing empty for 2 years or more. The move is one of a range of measures introduced by the government to fix the country’s broken housing market, and councils will be able to use funds from the premium to keep Council Tax levels down for working families. Through an ambitious package of long-term reform and targeted investment, the government is ensuring communities have the homes they need. "While we should celebrate the number of long-term empty homes dropping by a third since 2010, there are still 200,000 vacant properties across the country. "This bill hands councils further tools to bring much-needed homes back into use and provide thousands of families with a place to call home." There are currently just over 200,000 long-term empty dwellings in England, compared to 300,000 in 2010. The number has reduced since 2013, when councils were given powers to charge a 50% premium on Council Tax bills. The vast majority of councils currently apply this premium on long-term empty homes. The Rating (Property in Common Occupation) and Council Tax (Empty Dwellings) Bill was introduced on 28 March 2018. The number of homes empty for 6 months or longer remains substantially lower than when records began in 2004, when the figure was 318,642. As of October 2017, the number had fallen to 205,293. The lowest number recorded was in October 2016, when there were 200,145. Councils already have powers and incentives to tackle empty homes. 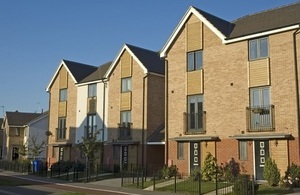 Through the New Homes Bonus scheme introduced in 2011, councils earn the same financial reward for bringing an empty home back into use as for building a new one. And since 2013, councils have been able to charge a 50% premium on the Council Tax bills of owners of homes empty for 2 years or more. 291 out of 326 councils applied an empty homes premium in 2017 to 2018. The government has published guidance that makes clear that the premium should not be used to penalise owners of homes that are genuinely on the market for rent or sale. There are exemptions in place for homes that are empty due to the occupant living in armed forces accommodation for job-related purposes, or to annexes being used as part of a main property. Also, the Council Tax system provides statutory exemptions for properties left empty for a specific purpose – for example, when a person goes into care. Councils also have powers to apply discounts in cases where homes are empty due to special circumstances – for example, hardship, fire or flooding. There is a Council Tax exemption for homes which are empty due to probate.